What is ‘natural’ wine, ‘biodynamic’ wine and ‘organic’ wine? How do they differ from each other? Why should you care? Join Caro Feely, organic and biodynamic winegrower and author for a talk followed by a wine pairing dinner with a menu created especially by Matthew Street, Executive Chef at Seasons Restaurant at The Eastbury Hotel, Sherborne. The evening will be a unique celebration to celebrate the close of the Festival’s 20th Season – see the menu. During the evening, the Terry Quinney Trio (Terry Quinney – saxophone and clarinet, Dan Baker – guitar and violin, Joe Limburn – double bass) will entertain with French Café Music, including music by, or popularised by Django Reinhardt, Sidney Bechet, Stephane Grapelli, Edith Piaf and others. 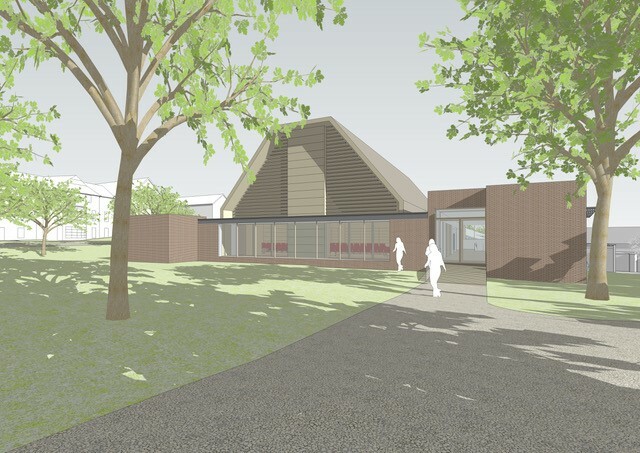 Chateau Feely was winner of the grand prize gold trophy for the category education and valorisation of ecological practices and finalist in a second category: accommodation at the vineyard. 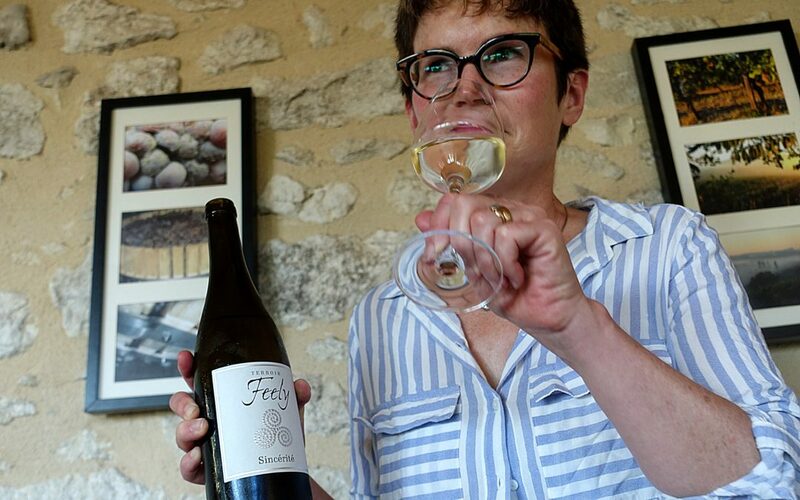 The news comes in an exciting week where Chateau Feely release their 2019 wines and also were designated a winner in the top ten challenge for wine tourism in Bergerac Duras. We send huge congratulations to Caro and Sean Feely. 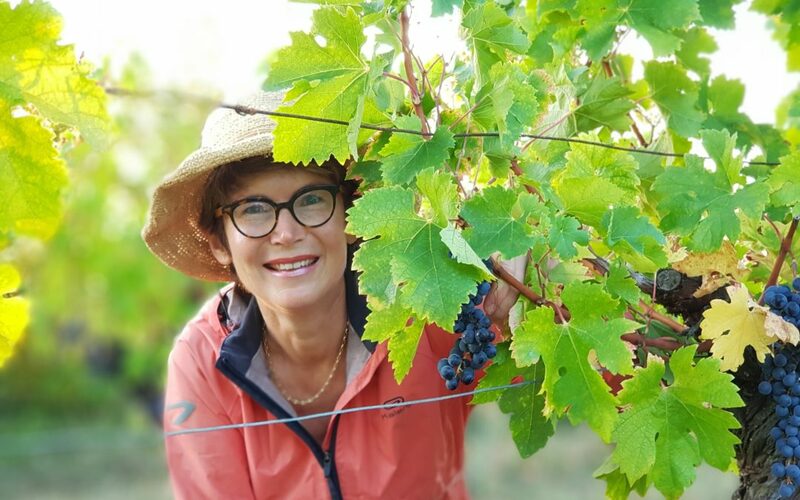 We look forward to welcoming Caro to Sherborne for a special closing event at this year’s Festival on 8th May, with ‘Grape Expectations’ – a wine tasting dinner with musical entertainment at The Eastbury Hotel. Don’t miss out on the chance to try award-winning, limited edition wines matched alongside a magnificent tasting menu created by Seasons Restaurant Head, Chef Matt Street. 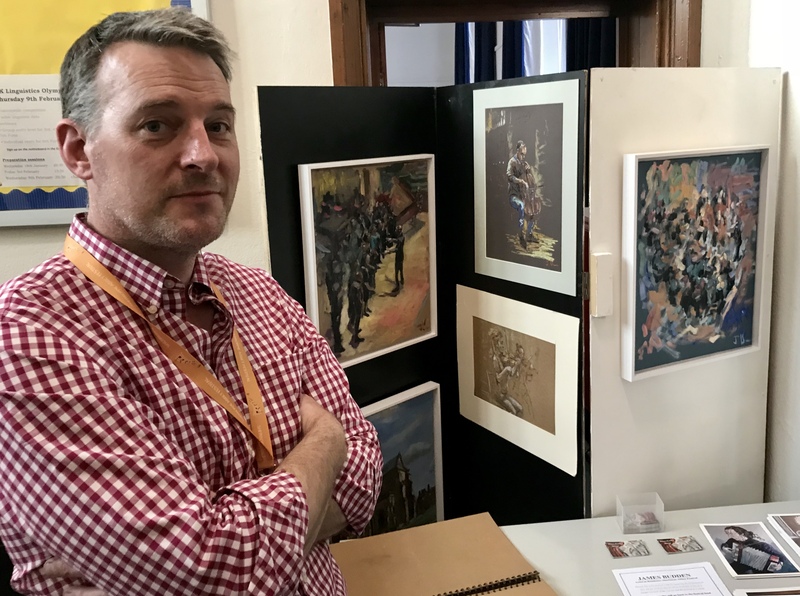 2018 saw a new first for the Festival, with the appointment of James Budden as our Artist in Residence. 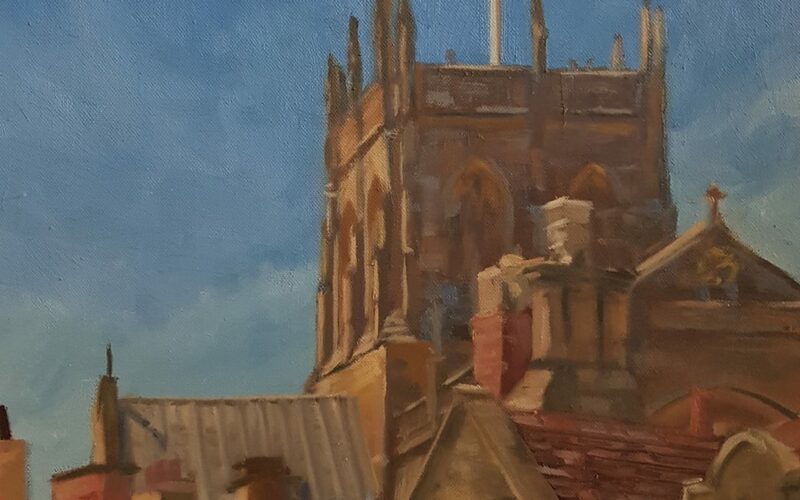 James, who lives in Sherborne, will be painting at key events again this season – do look out for him and say hello. 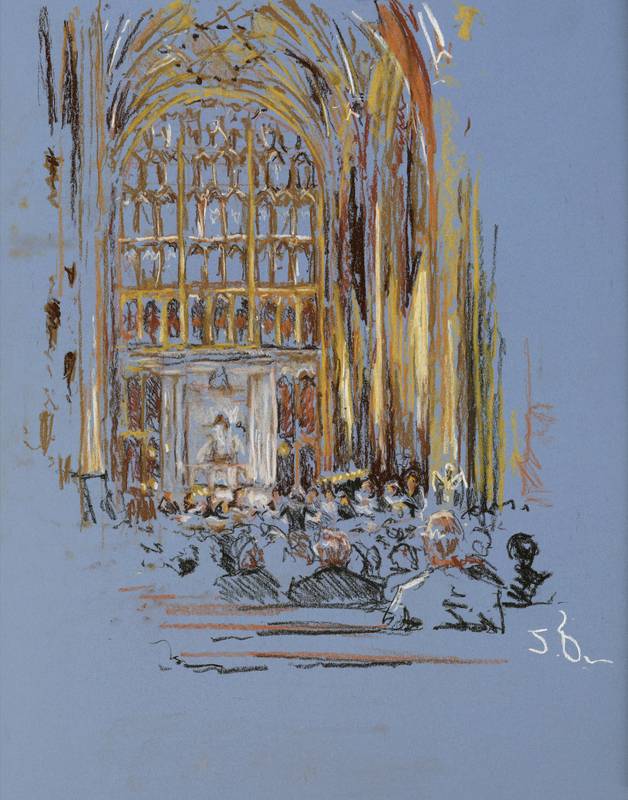 Prints of his unique work are now available to buy online. 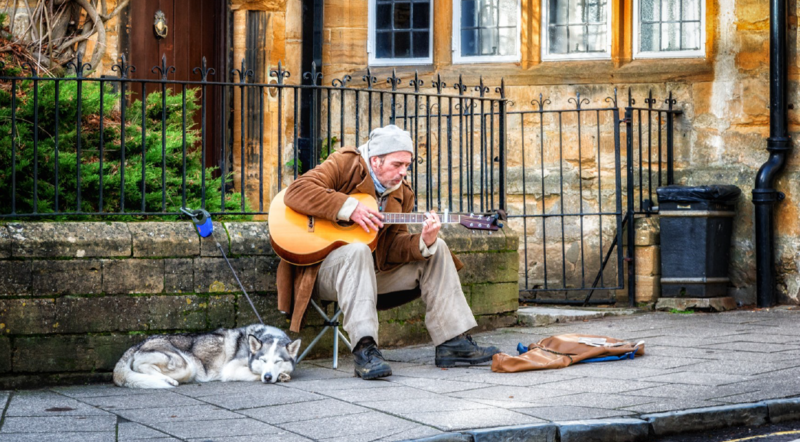 Each year, as part of the Sherborne Abbey Festival, we hold a Saturday morning workshop, primarily, but not exclusively, aimed at young people, where participants spend the morning working with professional musicians and then joining them in performance. This year, we invite you to join three professional opera singers from Dorset Opera Festival for an inspiring and fun workshop for singers of all ages and abilities. The professionals, themselves experienced vocal animateurs, will put the workshop participants through their paces with a variety of styles and genres, incorporating technique, rhythm, movement and staging exercises. 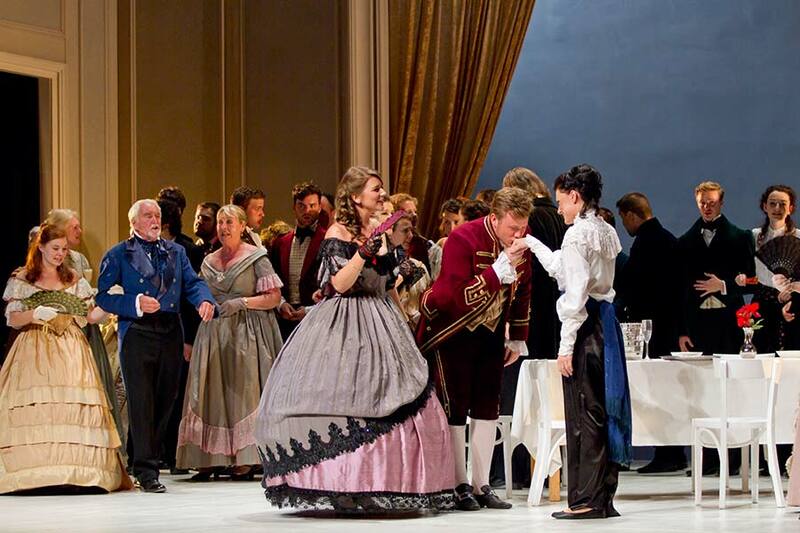 La Traviata – A Pocket Performance at Waitrose at 3pm. 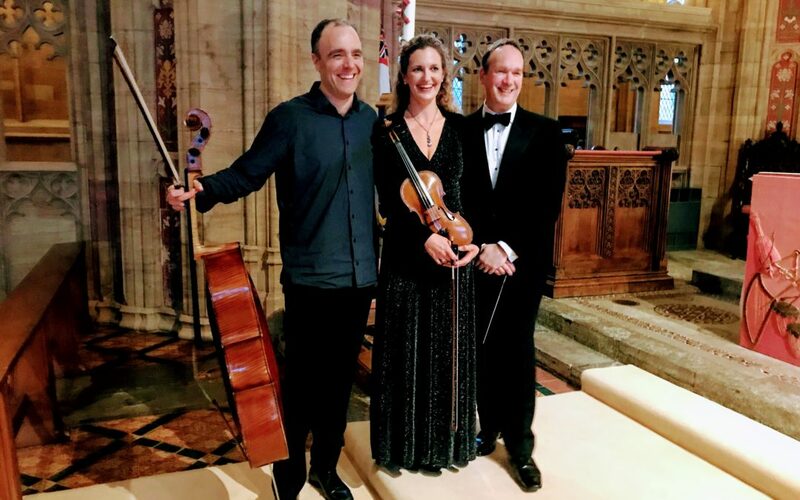 The nineteenth annual award-winning Sherborne Abbey Festival took place on a sunny May bank holiday weekend as thousands flocked to twenty five different concerts in the town, around seventy percent of which were free-entry. A hugely varied programme, with the London Adventist Chorale and director Ken Burton bringing Gospel singing to the Abbey on the opening night (with an afternoon workshop at Sherborne Abbey Primary School beforehand) while, in contrast, Peter Phillips and the Tallis Scholars closed the Festival in a magnificent fashion with Rachmaninov’s Vespers. For a complete change of tempo, audiences experienced a real treat when the Festival swung into Sinatra mode with Matt Ford, who sings regularly with the John Wilson Orchestra in London, backed by the hugely talented Tippett Quartet and the Matt Skelton Quintet. 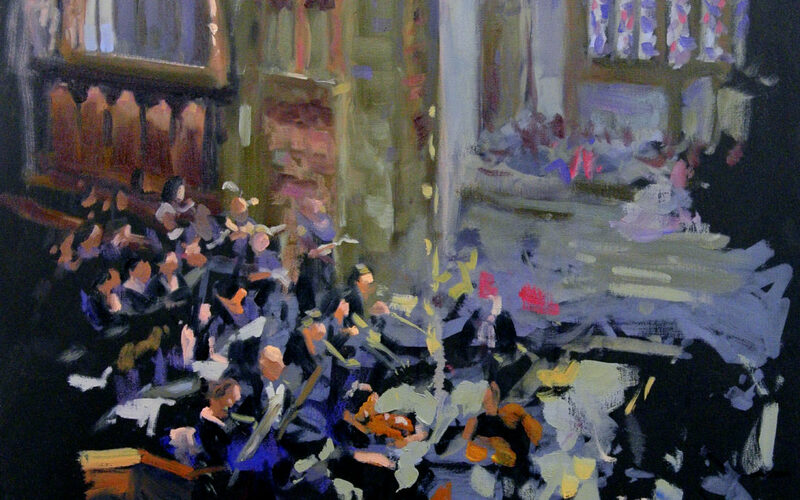 The Festival Chorus and Sherborne Classical Players performed to a packed capacity Abbey for Mozart’s Requiem starring soprano Rebecca Outram, messo-soprano Louise Innes, tenor Rhys James Batt and baritone Craig Bissex while Thomas Hull directed Adrian Brendel and Ruth Rogers in the hugely popular Bruch’s Violin Concerto and Schumann’s beautiful Cello Concerto. As usual, the Festival’s world-class performances are interspersed with concerts given by exceptionally talented local musicians and students, ranging from early music, madrigal and chamber music to jazz and barbershop. Not forgetting the popular Saturday morning workshop and performance which this year featured Dorset dance tunes and folk. 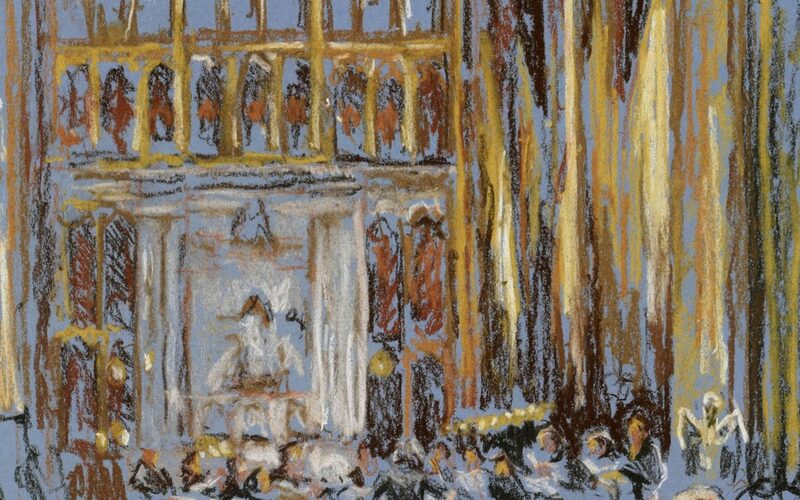 For the first time the Festival introduced an Artist in Residence – James Budden – whose work was created during several of the live performances and will be available in print after the event. This year the event has been awarded Gold in the Dorset Tourism Awards and joint Event/Festival of the Year, followed by a Silver Award in the same category for the whole of the South West region. Judges thought the Festival was ‘Just Beautiful’ and its success is a fitting tribute to a dedicated team of volunteers who work so hard to make it happen year on year. 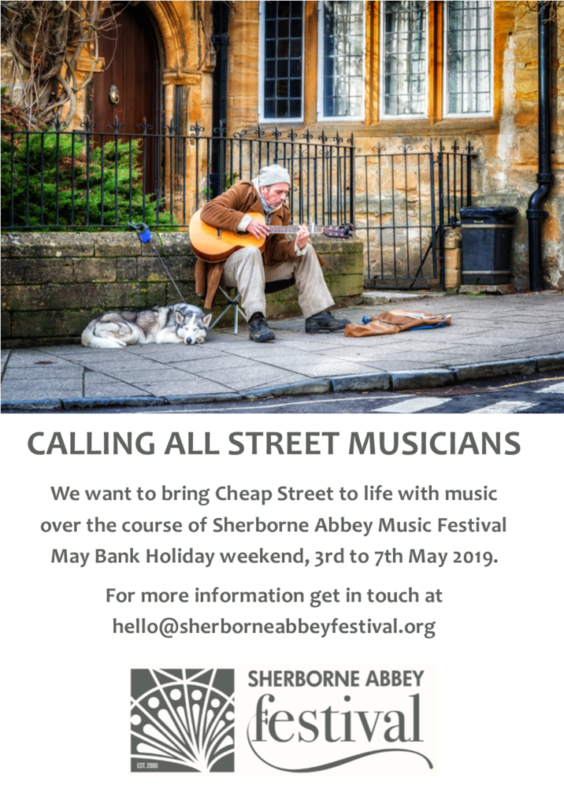 As has always been the case, proceeds from the Festival are reinvested in projects that enhance the musical life of Sherborne Abbey and the town. Together with continued financial support for the Abbey Choir and the upkeep of the organ, Festival funds this year have provided grants to local young musicians in order to help them to further their musical careers. 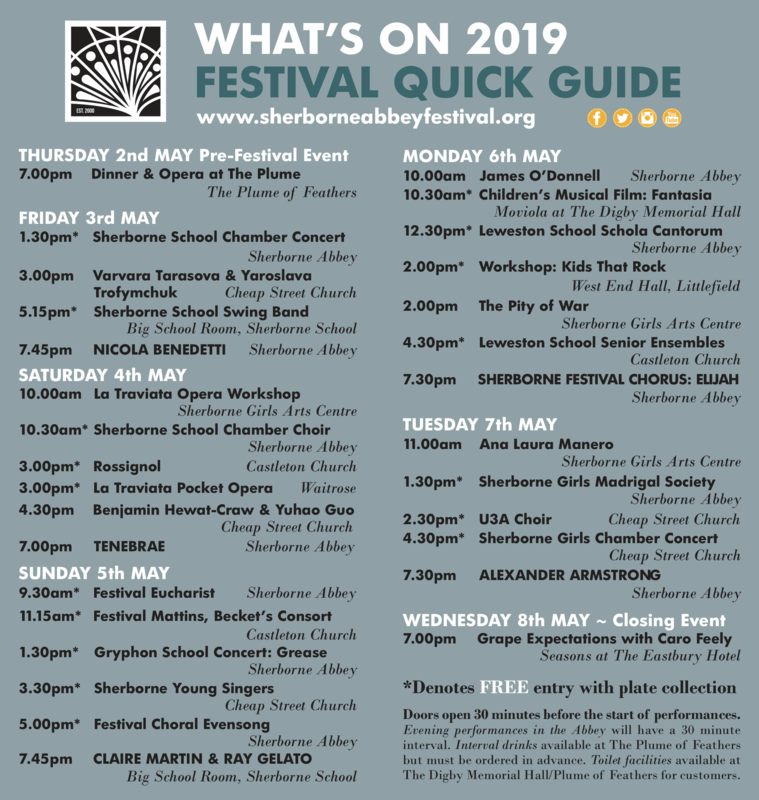 Following another hugely successful Sherborne Abbey Festival, we turn our attention to more upcoming local events to get excited about. Our neighbours at Plush Festival always offer an inspiring programme of music at the intimate venue of St Johns, Plush. 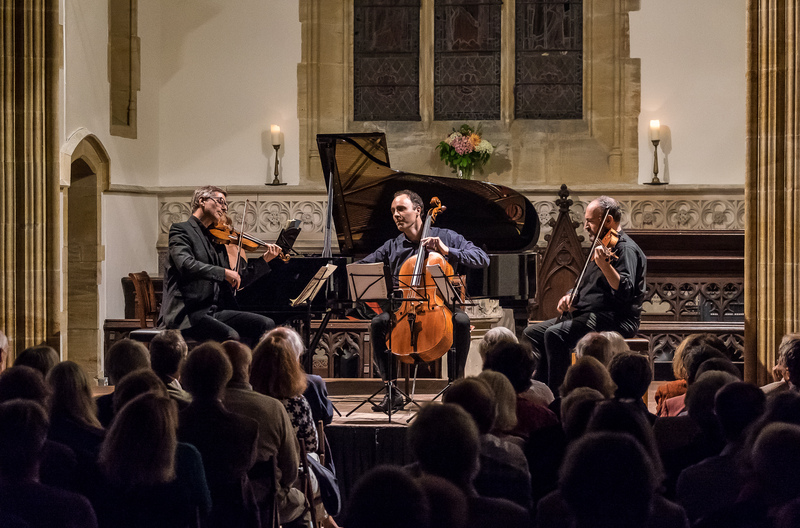 Founded by cellist Adrian Brendel 22 years ago (Adrian, who performed for us so wonderfully last weekend), the 2018 festival is guest-curated by pianist Tim Horton. Season highlights include talented vocal group Fieri Consort singing Renaissance motets on Friday 3 August. Described by John Rutter as “some of the best young singers in Britain today”, their a cappella Gesualdo will be interweaved with contemporary piano music performed by Tim. 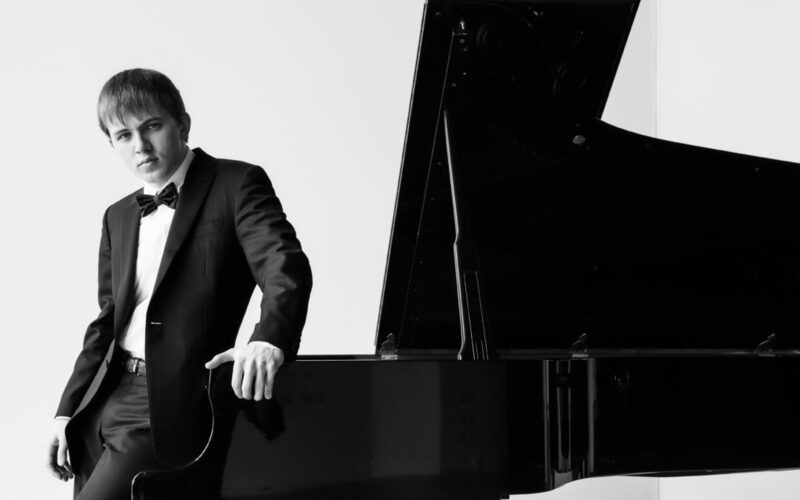 Tim has invited Italian virtuoso pianist Filippo Gorini – a protegé of Alfred Brendel described as “fearless” and “breathtaking” – to perform in two daytime concerts on Saturday 4 August. After solo Schumann and Beethoven in the Lunchtime Concert, Filippo will come together with Tim for a dynamic rendition of Stravinsky’s Rite of Spring for Four Hands. 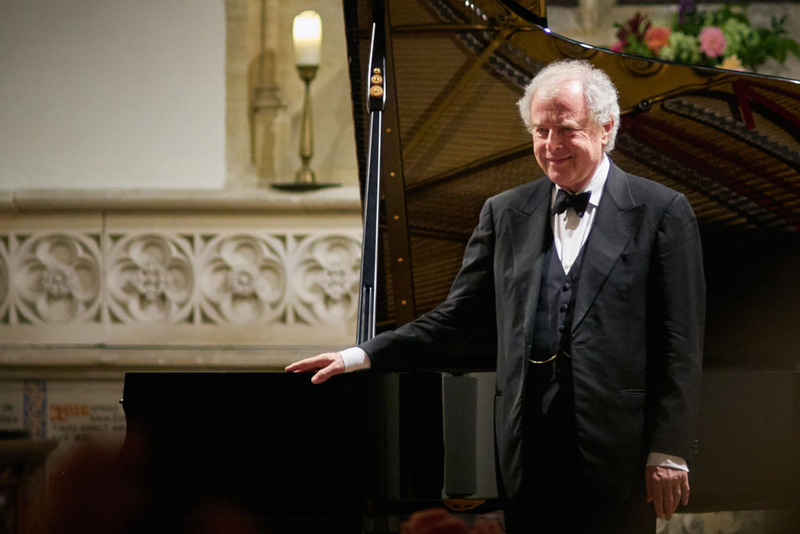 Sir András Schiff descends on Plush on Monday 6 August for Bach’s Well-Tempered Clavier Book II. Sadly the concert has now sold out, but do consider making the journey to London to see him perform the same work at the BBC Proms on Wednesday 29 August. His performance of Book I was among the Guardian’s Top 10 Classical Music highlights of 2017. Tickets are available from this Saturday onwards: https://www.bbc.co.uk/events/e92fbp. From 14-15 September, Tim assembles a unique “Plush Ensemble” consisting of Tim Horton, Adrian Brendel, Bjørg Lewis, Ruth Gibson, Jim Clark, Rachel Roberts and Cerys Jones. They perform Beethoven, Brahms, Berg and beyond. The next day (Sunday 16 September) four of these leading musicians give a day of free masterclasses to instrumentalists aged 11-18. Applications are open now: www.plushfestival.com/education. Students aged Under 21s get access to £5 tickets to all concerts that haven’t sold out. To view the programme in full, please visit www.plushfestival.com/whats-on.